A noteworthy number of buy to let landlords in Britain plan to buy more properties over the next year notwithstanding the frustrations, challenges and seismic changes in the private rented sector. According to Aldermore, the specialist Buy To Let lender, their research shows around 41% of portfolio buy to let landlord’s objective is to grow their buy to let portfolio (i.e. Portfolio landlords are landlords that own more than one property). So, I thought, “Are Bedford landlords feeling the same?” If so, if these numbers were applied to the Bedford private rental market, what sort effect would it have on the Bedford property market as whole? Talking to the landlords I deal with, most are feeling quite optimistic about the future of the Bedford rental market and the prospect it presents notwithstanding the doom and gloom prophecies that the property market will shrink. Many of those Bedford landlords who are looking to enlarge their portfolio are doing so because they still see the Bedford rental market as a decent investment opportunity. With top of the range Bank and Building Society Savings Accounts only reaching 1.5% a year, the rollercoaster ride of Crypto currency and the yo-yoing of the Stock Market, the simple fact is, with rental yields in Bedford far outstripping current savings rates, the short term prospect of a minor drop in property prices isn’t putting off Bedford landlords. The art to buying a Bedford buy to let investment is to buy the profit on the purchase price, not the anticipation of the future sale price. So, what of the numbers involved in Bedford? 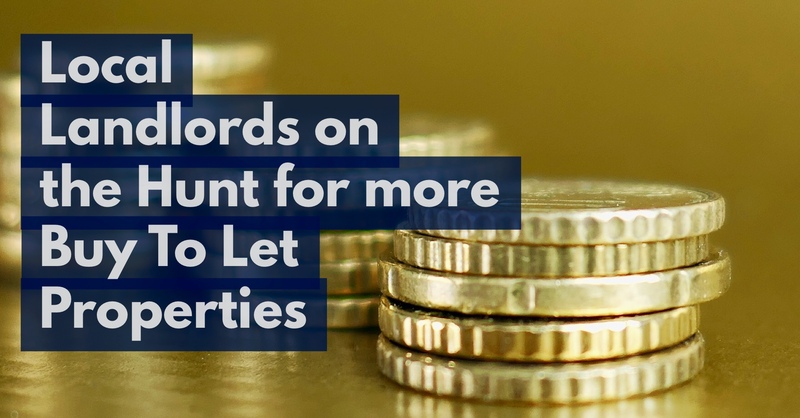 There are 1,293 landlords that own just one buy to let (BTL) property in Bedford and 2,816 Bedford landlords, who are portfolio landlords (i.e. they own one or more buy to let properties). 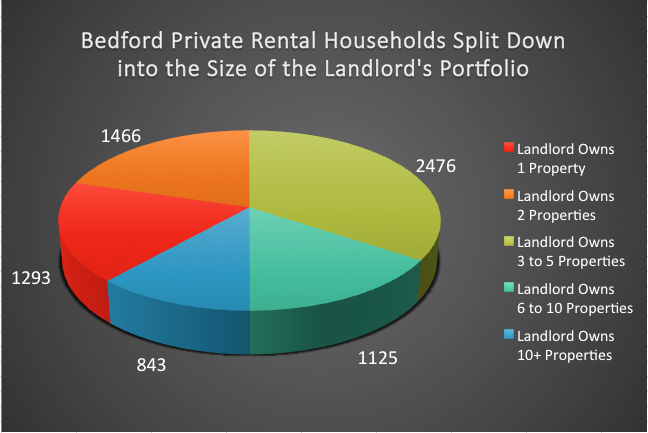 Between those 2,816 Bedford portfolio BTL landlords, they own a total of 5,910 Bedford BTL properties and they can be split down into the size of landlord portfolio in the graph below…. If I apply the Aldermore figures that means 1,155 Bedford landlords have plans to expand their BTL portfolio in the coming year or so. I would say there is no repudiating that the buy to let market has taken a bit of a beating, thanks to a plethora of Government regulation, new mortgage underwriting rules in 2014 and George Osborne’s tax changes. Yet there still remains an overall consciousness of optimism among the vast majority of Bedford buy to let landlords. Despite these latest changes, many landlords still view buy to let as a good investment, as long as you buy right and expand your portfolio taking into account the second rule of buy to let … assess your position on the ‘buy to let seesaw’ of capital growth and yield. If you want to buy right and assess your own portfolio on the yield/capital growth seesaw … drop me a note. I don’t bite and the opinion I give, whether you are landlord of mine or not as the case may be, is given freely, without obligation or cost. The choice is yours. Thank you for reading this article. To read others, please visit my Bedford Property Blog.